Whether for fresh food or art market, a film screening or community event, Market Square provides a venue in the heart of downtown St. Catharines. The building is a landmark, known for its open-concept design and prominent location. 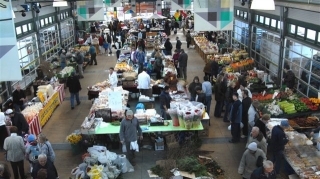 Market Square is home to the St. Catharines Farmers Market three days a week: Tuesday, Thursday and Saturday.